As the streets begin to fill with pumpkins and the leaves start to fall, the Halloween season seems to be faster approaching than ever. Her are a few of our favorite recipes to leave your guests feeling more spooky than ever. Method: Pour all ingredients into a rocks glass, stir to combine. Express orange twist over the glass, discard twist, and garnish with a maple leaf. 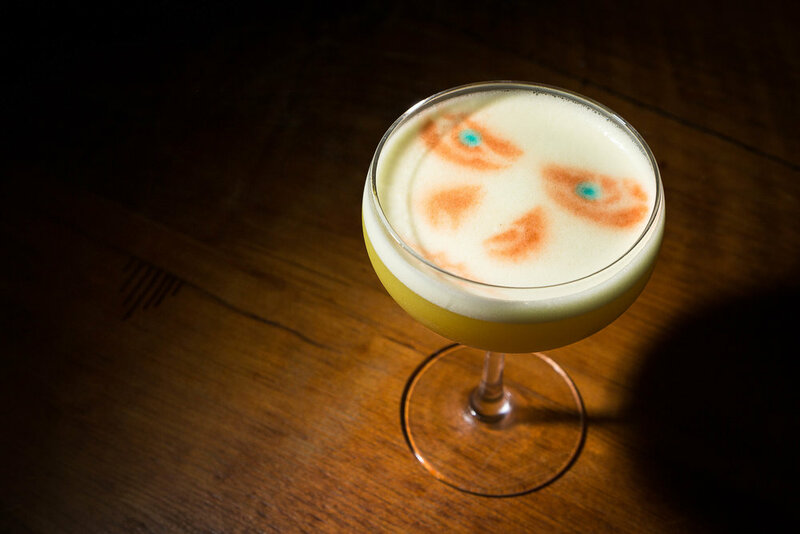 Method: Shake all the ingredients and serve in a absinthe rinsed Coupe glass with angostura bitters spray on top in the form of white walker face. Method: Combine all ingredients into shaker and serve in old fashioned glass. Garnish with orange wheel or twist. Method: Pour the vodka over ice and add in a dash of orange food coloring. Add in vermouth, then shake vigorously. Strain into a chilled martini glass, and garnish with red food coloring and a ghost peep. Method: Jack-O’Blast, LocoNut and cold brew in a shaker with ice. Pour into 2.5 oz. shot glass, top with whipped cream and a caramel drizzle.